I hope everyone in the U.S. is having a wonderful Independence Day. 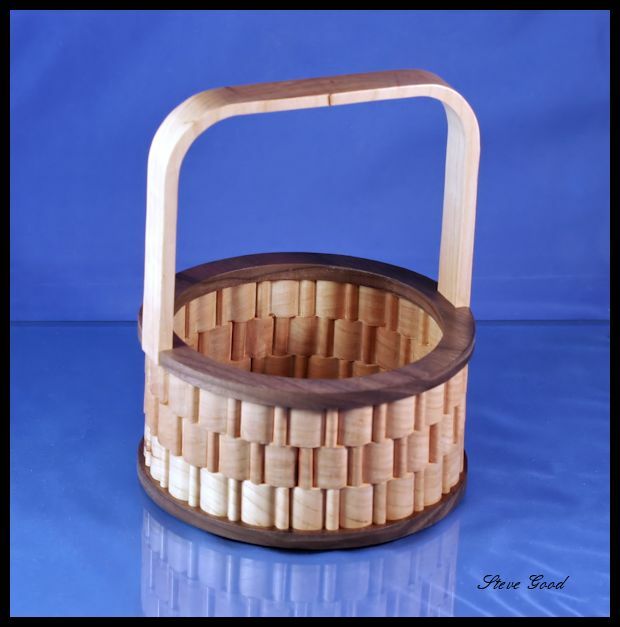 This pattern is a stacked ring basket. It is 5.5 inches in diameter. The rings and handle are cut from 3/4" Thick wood. The top and bottom are 1/4" Thick. These are just big enough to use as a candy dish on your desk. You could fill it with potpourri or just sit is on your mantle as decoration. - You will be directed to the download page after your purchase for instant download. Important: On the successful payment page click the Return to Merchant button to be directed to the download page. 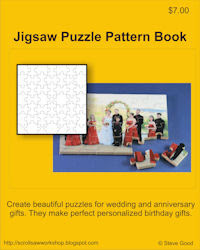 This pattern book contains only the puzzle patterns. No pictures are included. The book is in Adobe pdf format and requires Adobe Reader to view. This is a download only. If you wish to pay by check please include an email address and I will send the file to you. I can not mail a disk or print of the book. Gwinnett Woodworkers Club Meeting Video. This is a video from a Gwinnett Woodworkers club meeting earlier this year. Hans discusses cutting material other than wood on the scroll saw. There is a lot of information here but as always their videos are long. This one is nearly 1h30m long so sit back, relax and learn. If you are reading this in the email newsletter you may not see the video. Please click this link and watch it in your web browser.